As you probably already know, winning the lottery can mean millions of dollars and the realization of your wildest dreams. But, can lottery winnings also mean added headaches when tax time rolls around? People tend to get very excited when there are millions at stake in the lottery. They run around like crazy, from place to place, buying up as many tickets as they can get their hands on – for the most part. They are not, however, the only individuals getting excited. 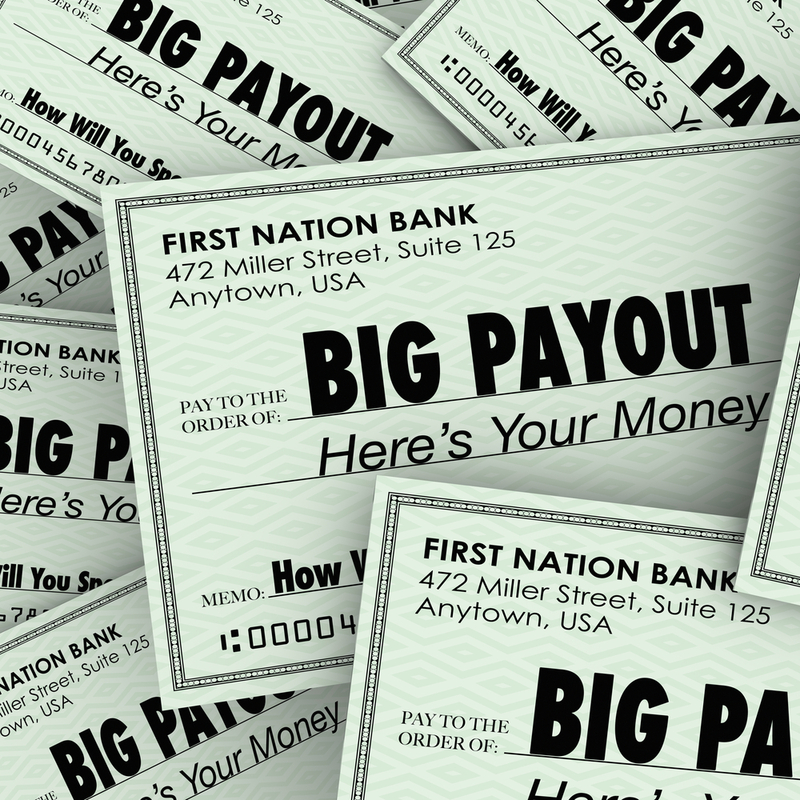 Millions of dollars in state revenue will be the result when the winning individual opts for a one lump sum payment. It’s true, the chances of you taking home those millions are one in well over 300,500,300 – but somebody has to win, right? Lots of people think about what they would like to do with all of that money. Few individuals think as much about the possible tax implications of a win – be it big or small. Yes indeed, you are lucky. You won the lottery. Did you know that your winnings will be subject to federal income tax? State income taxes are also going to come into play in some cases. Granted, those big jackpots are now federally taxed at a lesser percentage than they were, before the tax reform (formerly 39.6% has changed to 37%); but taxed you will be. Let’s say you won the mega millions lottery for 1.6 billion. Rather than waiting 30 years to get paid in increments, you decided to take it all at once. The cash payout would be estimated at approximately $904 million and that would be taxed at $217 million, or 24%. Additionally, you, as the winner, will be taxed on the difference between the top income rate of 37% and the initial amount taken off the top. Sounds confusing doesn’t it? That’s why it’s best to seek the assistance of a tax professional if you win big (and sometimes, even when you don’t win big). With all other games, if you win in excess of $599 – however, your payout has to be 300 times the wager – minimally. What If You’re Not so Lucky? We can’t all be winners, so what do you do if, rather than winning big, you lose big one year? And while, to the extent of your winnings, losses are tax-deductible, they must be itemized (as opposed to winnings which are basically classified as income). So, if you’re going to report your losses, you’re going to need to report, as income, your winnings. And you can only do this, if you itemize. When you win money or prizes, taxes can become even more confusing than they already are. Tax Defense Partners knows just what to do if you win the lottery. To schedule a consultation, contact us today – even if you didn’t win the lottery.